Work Permits, Executive Order #96 declares, shall be issued for a period of up to five years at the option of the holder or beneficiary. The fees for Work Permits shall be assessed by the Minister of Labor in consultation with the Minister of Finance and Development Planning and shall be published by Regulations. Consistent with the Executive Order, all fees for Work and Residence Permits shall be paid directly to the Liberia Revenue Authority for deposit into the Consolidated Account of the Government of Liberia. As a further mitigating measure, the President’s Executive Order has authorized the Minister of Finance and Development Planning to, by Administrative Regulation, impose surtax on goods imported into the country that are in competition with local manufacturers and producers. 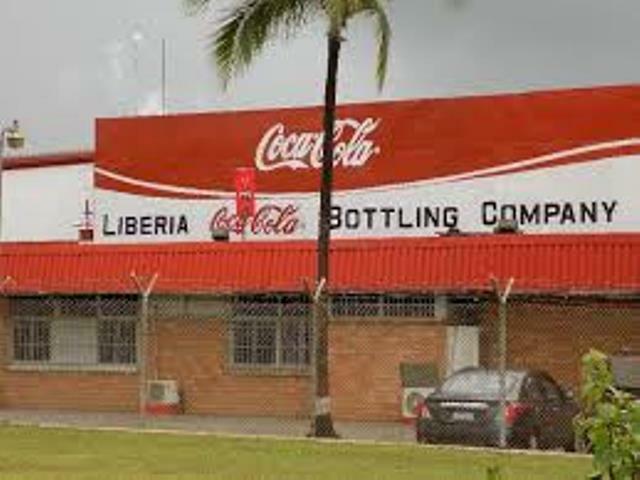 The Executive Order also imposes a reduced tax of 7% from 10% on Travel Agency or Travel Arrangers, on the issuing of tickets travels that either originates within Liberia or the passengers embarking within Liberia. Homeland Security Secretary Kirstjen Nielsen left her post last week and three other officials recently resigned or were pushed out. The departures clear the way for the White House to implement a range of new enforcement measures — including the prospective travel clampdown. The White House could issue a related presidential proclamation as soon as this week, a Homeland Security Department official told POLITICO. The Homeland Security Department counted 701,900 overstays of non-immigrant visas in fiscal year 2017, just 1.3 percent of all short-term visitors to the U.S. in that year. In Liberia, some applicants in recent months have reported a high-wave of rejections for visas, signaling a changing trend for many eyeing reunion with families, short-term visits or medical attention. Patrick Sudue says Liberia is constantly and consistently witnessing different forms of protests and violent behavior across the country for various reasons. The LNP Boss praised UNDP and its partners for the level of support to Liberia’s justice and security sector. The UNDP Boss pledged continued support to the justice and security sector of the country. 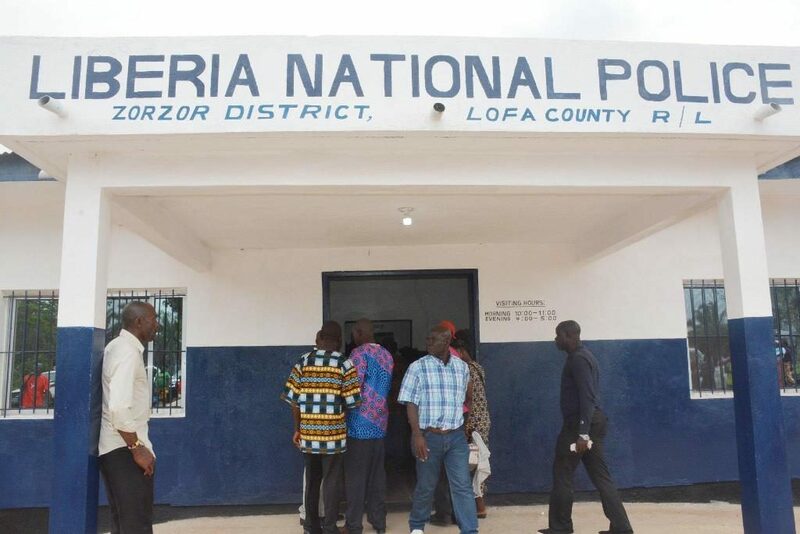 The Superintendent of Lofa County William Kamba expressed appreciation to UNDP and partners for the continued support to Liberia, mentioning interventions that Lofa is benefitting. The dedication of the building came at the end of a 3-day annual retreat of UNDP Liberia. 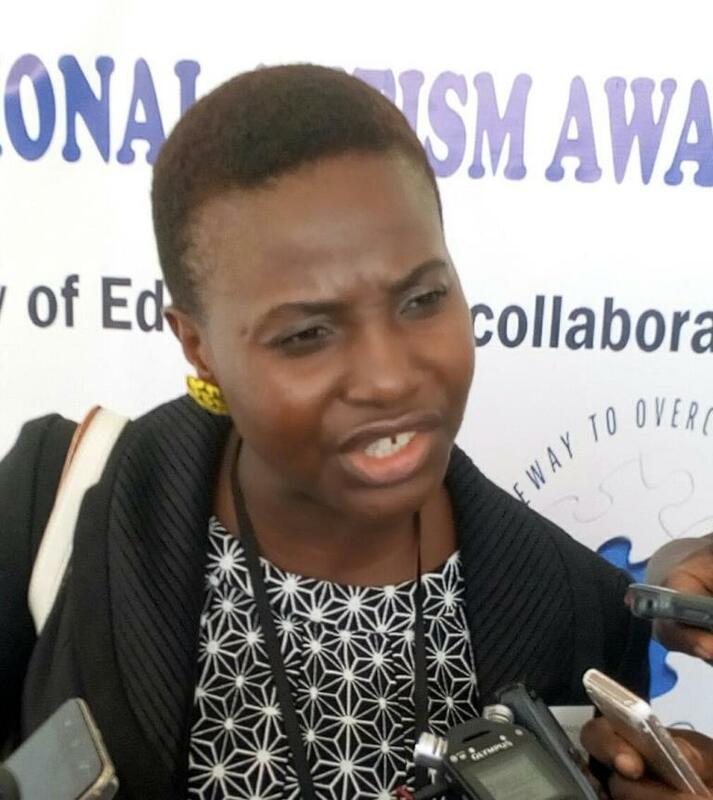 She said people with autism in the country are in difficult condition because of the way they are treated. According to the JFK boss, children with autism become more vulnerable to the disease if they are neglected by society. “We should look around and see people who are different from us and try to give them special treatment especially children with autism. It is difficult to have a child with autism, but the society even makes it worse by the way they treat children with autism. Madam Witherspoon said autism is just like any other sickness that does not require isolation. Madam Josephine George Francis, President Farmers Union Network of Liberia speaking during a press conference at the Union’s headquarters in FendallMonrovia – The Farmers Union Network of Liberia has called on the Liberian Legislature to pass into law several bills submitted by President George Weah that are expected to impact the country’s agriculture sector. Report by Gerald C. Koinyeneh – 0023177769531 / 00231880881540 / [email protected]The bills are, Seed Development and Certification Act,’ Liberia Plant Pesticide Regulatory Services Bureau Act, Liberia Fertilizer Regulatory Division Act, and an Act to Amend the Executive Law of Liberia to Create a National Food and Feed Quality and Safety Act of 2017. 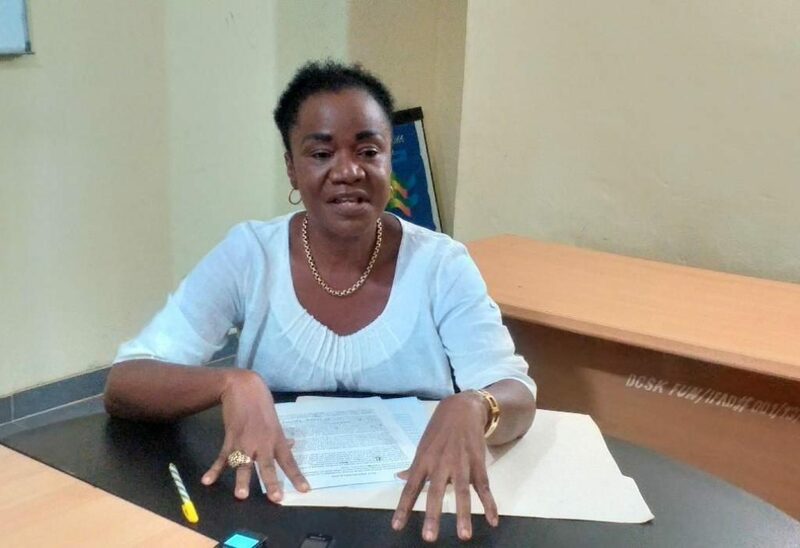 During a press conference at the Farmers Union national headquarters in Fendell on Monday, April 15, the president of the Farmers Union Network, Josephine George Francis called on the Legislature to rectify a US$25 million loan agreement between Liberia and the World Bank. According to the former Montserrado County District#1 Representative, the Farmers Union Network is working with its partners to make significant strides; adding that the Union has partnered with other institutions to develop policies for a stronger agriculture sector and diversified the Liberian economy. About the Farmers Union Network of LiberiaThe Union was established ten years ago and can boast of a membership of 54,000, including family members, cooperatives and federations throughout Liberia. Monrovia – Chief Justice Francis S. Korkpor has admonished media practitioners to be honest in their reporting especially on issues that border on the rule of law. 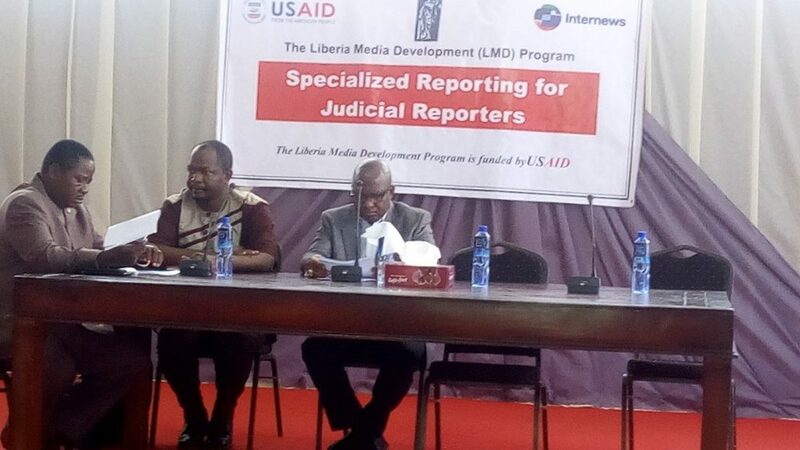 Report by Augustine T. Tweh-00231775524647 / [email protected]The Chief Justice made the statement at the closing ceremony of a week-long Specialized Judicial Reporting Training for journalists covering the Judiciary. Chief Justice Korkpor also frown on the way journalists report on the Judiciary, asserting that he has been the target of wrong reportage from the media. The Chief Justice further called on journalists to be objective, accurate and balanced in reporting on the Judiciary, noting: “We are friends of the media. Please, I just want you report the truth; we do not do anything in secret in the Judiciary,” the Chief Justice pleaded. Johnson said until President Weah does what is right, he (Johnson) and his supporters will go ahead with their planned protest and continue until the result they seek is realized. They have not been able to advise the President appropriately, but to mislead him, while the country continues to go down,” Johnson said. He added: “Nathaniel McGill, Jefferson Koijee and Samuel Tweah are the problems in Weah’s government. We hope that will not be the case in our planned protest on June 7,” he said. 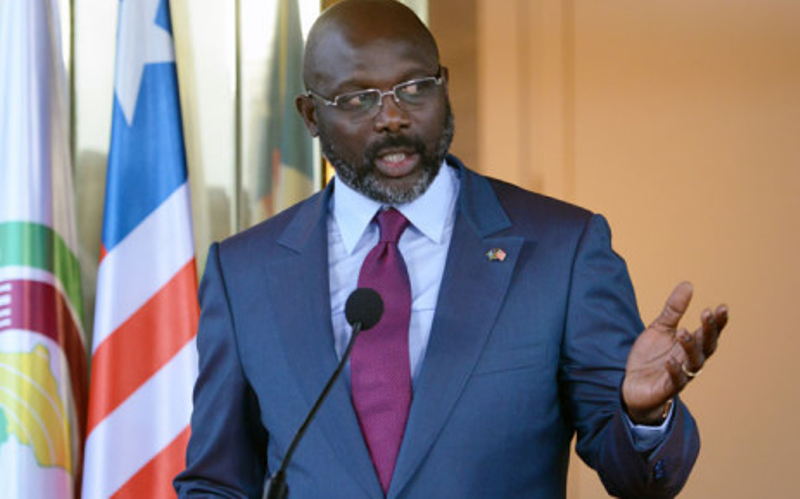 He called on President Weah to ensure that Tweah resigns and faces justice, alleging that the US$25 million was not used in the interest of the country. 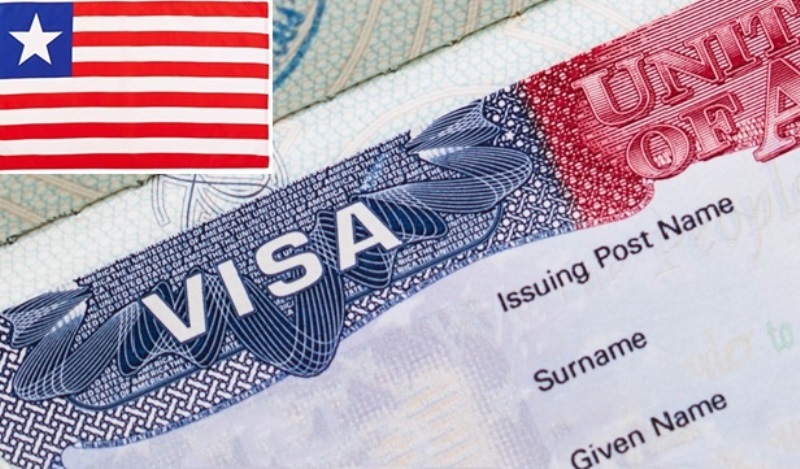 The administration of United States President Donald J. Trump has been closely monitoring countries whose nationals overstay their short-term visas in the U.S. as part of the country’s efforts to curb immigration, including Liberians. “Non-immigrants admitted for ‘duration of status,’ who fail to maintain their status also may be considered overstays. When the program is completed, the student must leave or go on to pursue another program of study,” the report said. In 2017, DHS recorded 783 out of 858 Liberians as “in-country overstays.” This constituted 18.93 percent of the expected 4,136 Liberian departures from the U.S. that year. In-country overstays from Eritrea, however, were 473 out of 2390 expected departures (19.79%); Nigeria had 19046 in-country overstays out of 185,375 expected departures (10.27 percent); Sierra Leone had 319 suspected in-country overstays, out of 2,844 expected departures; while Chad had 140 in-country overstays out of 611 total expected departures (22.91%). 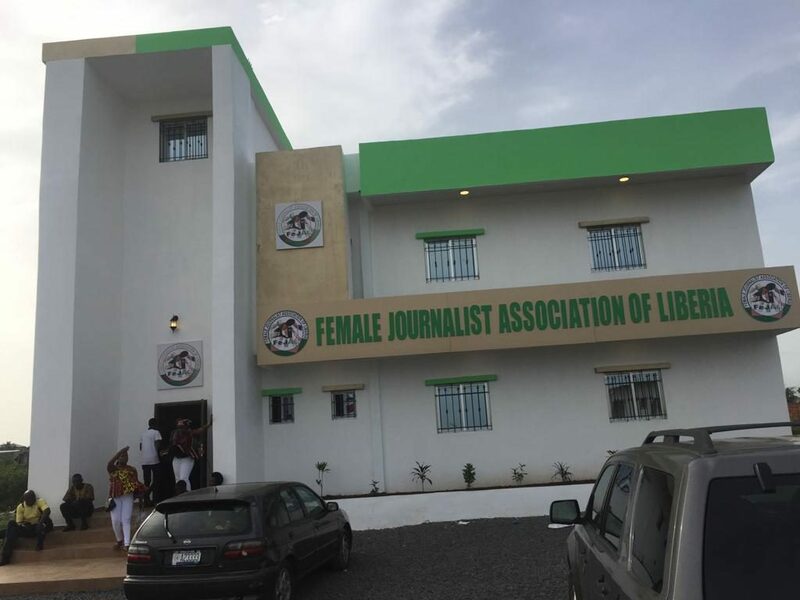 The premises of the Temple of Justice were on Monday, April 15, 2019 a scene of disbelief and shock when Montserrado County District #10 Representative, Yekeh Kolubah, and Montserrado County, Attorney Cllr. Edward Kla Martin exchanged invectives in the court yard of the Temple of Justice. “This statement by Rep. Kolubah has a national security implication, and must appear before me to clarify it,” Atty. Martin’s declaration, Rep. Kolubah, accompanied by several individuals, entered the court yard of the Temple of Justice, where he met with journalists and rubbished the county attorney’s accusation. And, so I dare him to invite me for any meeting about the statement I made against the President,” Kolubah said. Kolubah alleged that President Weah, in less than two years of his administration, has taken the country to “sad days rather than a period of joy”. Benoni Urey’s statement of acceptance of Rep. Kolubah to the four collaborating political parties was even more fiery. You go to the Supreme Court, you can’t get justice,” Urey charged. He said people are getting angry and it is time that the Weah led government stops playing with the country. Stop playing with our country. 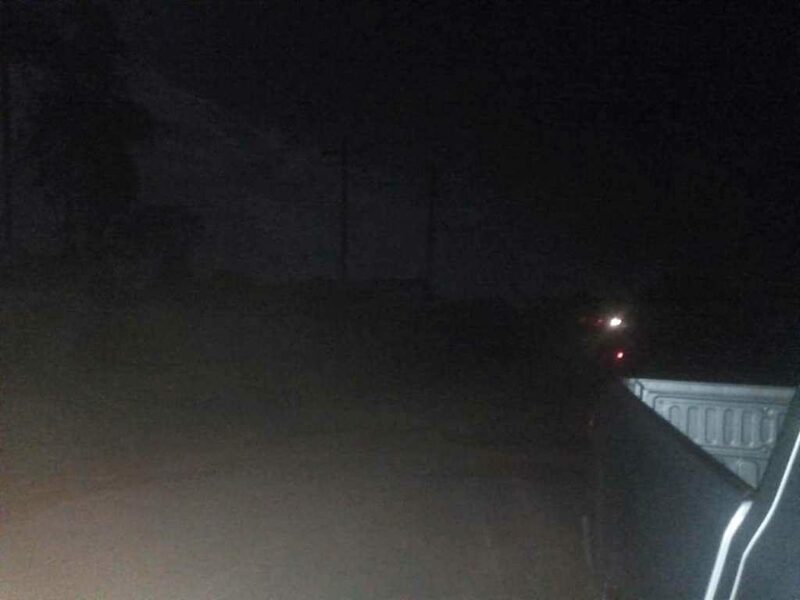 The road work runs from the Pipeline Supermarket Community and passes through Johnsonville to Barnesville. The road work is also expected to extend to Mount Barclay along the main highway leading to Kakata City in Margibi County. Pavement of the road kicked off Monday, April 15 beginning in the Pipeline Community. 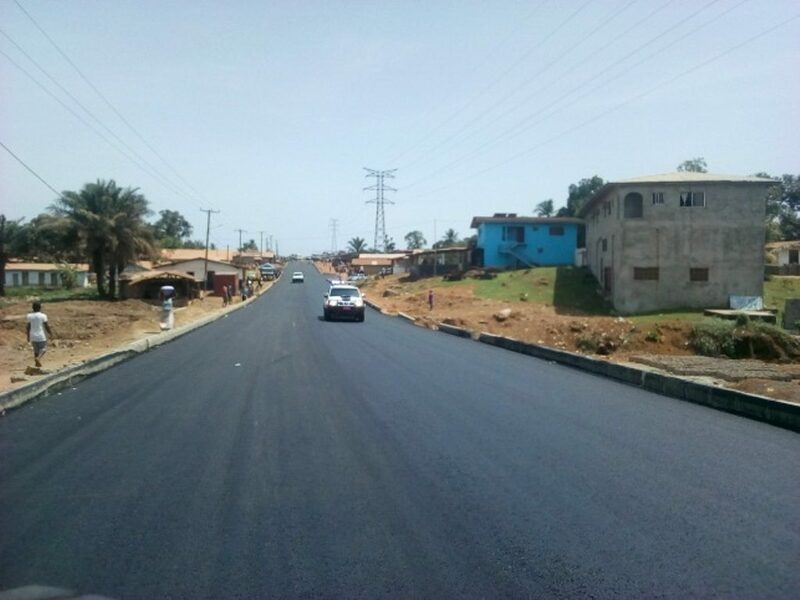 Prior to the pavement, President Weah carried out series of inspections on the Pipeline to Johnsonville road, as well as other road projects in and around Monrovia to ensure that performance and implementation are on time. In September, 2018, residents of Pipeline Community during a protest for pave road, set roadblocks and demanded government to address their plight. 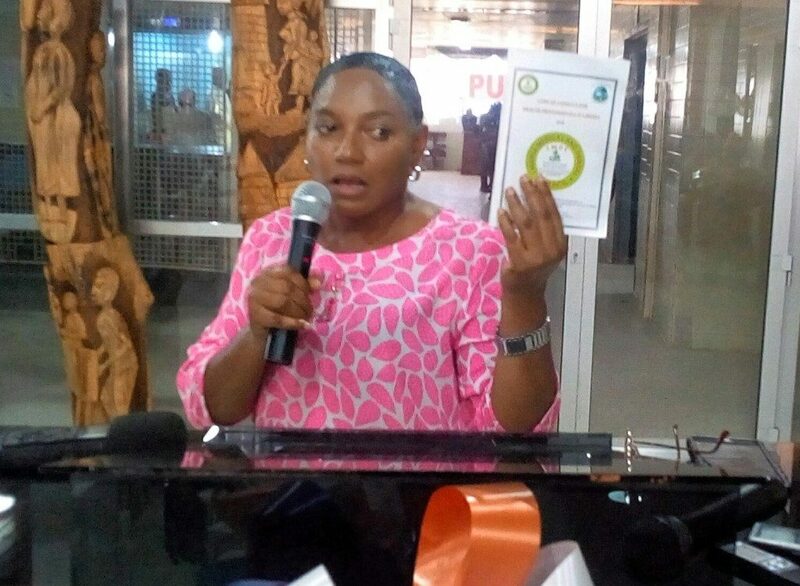 Liberia Medical and Dental Council Chairperson Dr. Linda BirchMonrovia – The Liberia Medical & Dental Council (LMDC) and partners have launched the country’s first code of conduct for health practitioners. According to Dr. Birch, the Code of Conduct describes the behavior and attitude that are to be projected by all health practitioners. Performing the launching exercise on behalf of Health Minister Dr. Wilhelmina Jallah, Deputy Health Minister for Planning and Research A. Vaifee Tulay urged health practitioners in Liberia to work in line with the Code. You cannot be calling for increment in salary when you are not upholding your oath or this code of conduct,” Minister Tulay stated. The Deputy Health Minister for Planning and Research urged all health practitioners to fully get involved in the implementation of the Code.